The ‘Made of Athy’ project will honour Leonard Cohen on 3rd May next. President Michael D Higgins will unveil a plaque at the Athy Conmunity Arts Centre. Johnny Marr, The Smiths and Mani, The Stone Roses have already unveiled 'Made of Athy' plaques in the town. 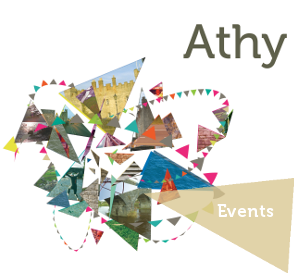 The 'Made of Athy' will unveil 23 plaques over the course of 6 months.